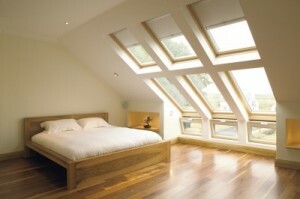 Are you looking for a company to carry out the best loft conversion Poole has seen? Then look no further than 42 Construction. We are the leading specialists in home renovations, and we can help you make the most of unused space with a fantastic loft transformation. Give us a call today for a competitive quote on 07891597416. If your family have outgrown your home and you lack space, then why not consider a loft conversion in Poole. This is a great way to create more space without having to go through the hassle of moving to a bigger property. At 42 Construction, we can help you transform your home and make the most of the space you have. Many people use their attic for storage and do not realise the potential the space has. Our expert team have the skills and expertise to convert any style of loft, so whether you live in a modern home or a period building, we’ll show you the best way to utilise the space you have. We endeavour to give you honest and impartial advice regarding your loft conversion Poole project, and once we have given you a quote for the work, you’ll be able to make a well-informed decision that suits your style and budget. 42 Construction provide a comprehensive service from design through to installation. We tailor our services to you, and we’ll run everything by you before going ahead with the work. The best thing about our loft conversion Poole service is that we rarely require planning permission, so we can get on with the work quickly and efficiently and you could be enjoying your new space in as little as 6-7 weeks. Depending on the size of your home, our loft conversion Poole service could take your home from a 3-bed property to a 5-bed property just like that. Why not get in touch with us today to book a FREE survey and find out more. With over a decade of experience in the industry, our expert team can provide you with a quality Poole loft conversion that will make your neighbours envious. With our highly-skilled workforce and exceptional customer service, we’re sure you won’t be disappointed in your new space. We know that there is never a good time to turn your home into a building site, but at 42 Construction, all of our workmen are extremely conscientious and will work professionally and respectfully when at your home. We never cut corners but will work efficiently so that we minimise any disruption to your day-to-day life. You can rest assured your home will be spotless upon completion of your loft conversion Poole project so that you can begin enjoying your new space right away. As well as offering loft conversion Poole services, our builders are competent in all kinds of construction work and can provide help with kitchens, bathrooms, home refurbishments and much more. If you’re thinking of giving your home a makeover or simply need a few jobs doing, enlist the help of the professionals at 42 Construction. If you are still unsure if a Poole loft conversion is right for you, then give us a call to discuss your ideas and ask any questions you may have. We would be happy to discuss this with you and help get the ball rolling. For the best loft conversion Poole has seen, arrange a FREE home survey with us today.